As an engineer, I get asked all kinds of questions from home recording enthusiasts. Lately, following some of my recent online declarations of love for the Shure SM7B, one of the more frequent questions has been what preamp or audio interface to pair it with. So, we decided to test the SM7B with a slew of budget home studio interfaces. Allow me to begin with the SM7B… While it seems to be gaining popularity, I think it is still one of the most overlooked microphones in the home studio world. 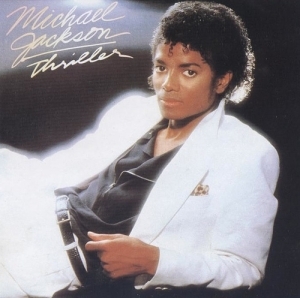 It is used by dozens of top recording engineers all the time and has snuck its way in front of some pretty heavy-hitting crooners like John Mayer, Keith Urban, Bono, and a relatively unknown singer named Michael Jackson on a fairly obscure album called Thriller! Not only is it a superb vocal mic, not only is it a staple in the broadcast and voiceover world, but it sounds fabulous on guitars amps, bass amps, banjo, mandolin, drums, and it is probably my favorite mic to put on a hi hat. All that being said about the SM7B, it is also notorious for one more thing: low output. This means it needs a lot of gain… and if you’re recording something especially quiet you’ll need a ton of gain. Inexpensive preamps tend to not have have much gain, or they do at the cost of more noise. 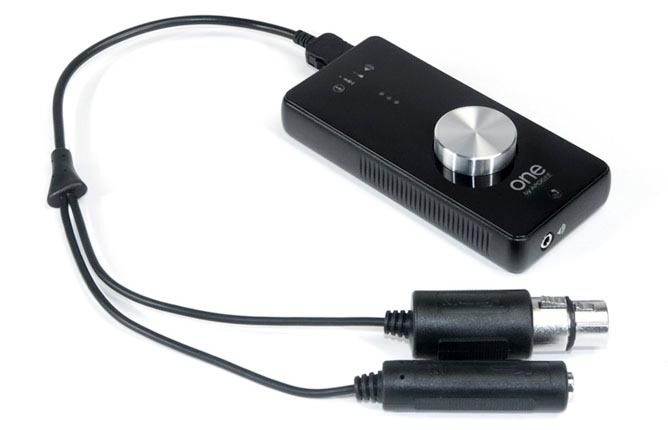 I set out to discover the best audio interface solution for the budget SM7B user. We sent a tone through each interface before every test to ensure that they were all adding the same amount of gain [50dB ±1 dB]. Once in Pro Tools, I applied the same compression, de-essing, and limiting to each pass. I did this to maximize the volume of each track as it would be in a real VO situation. After everything was organized in the session, I compared every clip, one after another, listening for sound quality and noise. Ready for the results? To keep this simple, I have divided the interfaces into three categories: The ones I would not recommend, the ones I would recommend, and the ones I would recommend with a Cloudlifter. Remember, these recommendations are targeted at SM7B users; the interfaces that are “not recommended” below might be perfectly suited to other tasks (including higher-output microphones and louder sources). While the design is cool, as it fits nicely on the end of a microphone and is completely USB powered, it did not offer much gain without also adding the most noise of the group. While the Cloudlifter improved its performance more than any other interface, the Micport Pro was still too noisy for VO work with the SM7B. While the 2i2 sounded good… when paired with the SM7B it was simply too noisy. The Cloudlifter improved its performance a little, but not quite enough for my recommendation. Recommended for SM7B with Cloudlifter. The Blackjack was probably the easiest interface of all. It felt good, and it played with Pro Tools very well. It also sounded the most sonically unique of the bunch as it was a bit more robust. Depending on what you’re recording that may be a good or bad thing. As much as I really liked this interface, it had a bit too much noise for VO work with the SM7B. However, when paired with a Cloudlifter, I think it performed marvelously. This one is tricky. 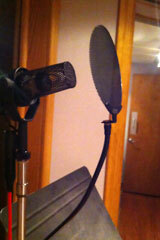 The SM7B paired with the Apogee ONE yielded too much noise for a VO. The Cloudlifter improved its preamp performance significantly and greatly reduced the noise. However, I would have a hard time recommending it over another similarly-priced interface that works fine without the Cloudlifter. And all cards on the table, I found the controls cumbersome to use compared to other interfaces with knobs. To me, the 8i6 sounded just like the 2i2… only with less noise. It probably has the most noise of the interfaces I would recommend, but it also has more I/O capabilities than the others. This one probably wins the “bang for your buck” award. This baby is quiet, and sounds great! I felt like it had the tiniest bit of warmth to it compared to the others, and the noise floor was quite low. It also played very nicely with Pro Tools, which is more than I can say for some of the other contenders. The Firestudio, by itself, was too noisy for the SM7B. And although the Cloudlifter improved its signal/noise ratio, the resulting cost is too high for my stamp of approval. The MBox sounded great. It sounded very similar to the C400, with maybe a little higher noise floor. The problem is that it is $50 more expensive than the C400, and only has one mic input. It might be a decent way to go if you can save some money bundling it with Pro Tools software, and you really only ever need one mic input… but beyond that I’m not sure it’s the best option. I think the most unexpected part of this test was just how similar most all these interfaces sounded. There may have been one or two that sonically stood out, but all the rest were fairly indistinguishable. My decision pretty much came down to noise and price. All that being said, the M-Audio Fast Track C400 stood out the most for me. If you are in the market for a small audio interface and a microphone, I strongly suggest you give the M-Audio C400 and Shure SM7B a try. Below are all the audio samples I based my evaluation on. Take a listen for yourself and see what you think! Note: The VO script is not from Shure marketing. The talent, Eli Chastain, loves the SM7B as much as I do, and wrote this script at the session. These samples have been processed using compression, de-essing, and limiting, as I would do if I were using the audio for a commercial voiceover. Download the 24-bit WAV archive, which includes the Cloudlifter samples, plus the dry/untreated tracks too, here [75 Mb .ZIP archive]. 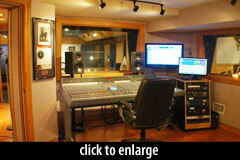 Jason Miller is a producer and engineer based in Nashville, TN. Visit him online at JasonMillerMusic.com. 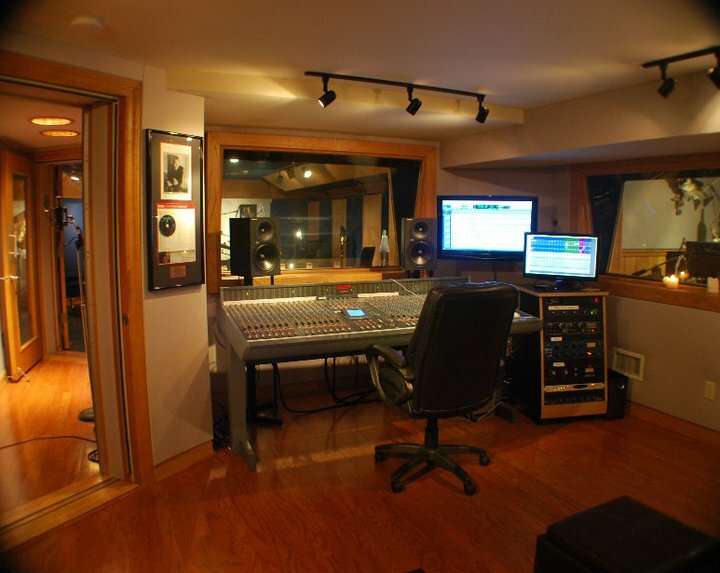 The SM7B sessions took place at Bryan White’s Shmowland Studios in Nashville. We required a 24-bit ADC, because in a torture test of preamp gain and noise, no 16-bit device could compete. We limited the selection to interfaces with a street price below $250. We hope to publish a followup piece comparing high-end analog preamps. Readers, please be aware that this evaluation is not intended as a comprehensive review of any of the participating audio interfaces. I suspect all of these units perform admirably for common home recording tasks. Our results are specific to the Shure SM7B, a famously low-gain dynamic microphone, and a quiet source (a speaking voice). Paired with higher-output microphones, or louder sources, any of these devices would probably sound great. 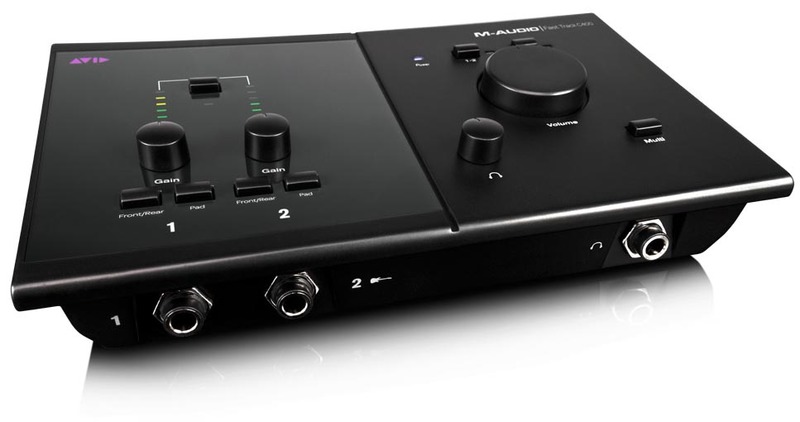 See, for example, my own review of four low-cost USB interfaces from late 2009, as it includes a fuller evaluation of the Micport Pro: USB Audio Interface Shootout. I encourage all readers to download the WAV audio archive and listen closely to determine which interface sounds the best. This evaluation was conceived in conjunction with Shure, for the express purpose of identifying great preamp/interface devices to pair with the SM7B microphone. Shure covered the cost of the sessions, but was not involved in the review or evaluation process. 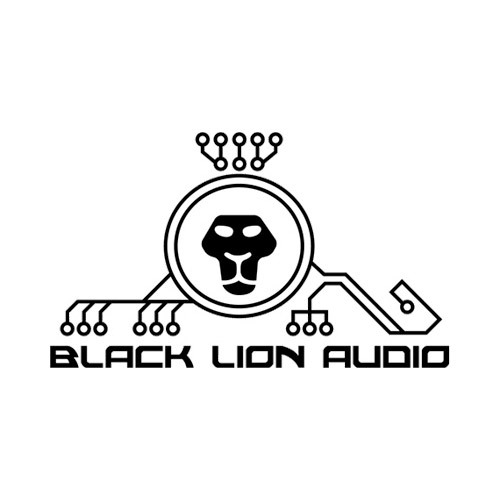 We received no compensation from Avid/M-Audio, Focusrite, CEntrance, Cloud Microphones, Mackie/LOUD Technologies, Apogee, or PreSonus. These companies provided evaluation loans of interface gear for the purposes of this review. All this gear is being returned. Special thanks to Front End Audio for a last-minute loan of an Mbox Mini, which could not be obtained in time from the manufacturer. I don’t know anything about the AVID/M-Audio/inMusic situation. The C400 was available at the time of our test, and it stood out. As far as it’s current availability goes, it sounds like you know more than I do. I’ve never used Pro Tools SE, so I can’t really have an opinion on it. For simple VO work, I’m sure it will have all the necessary functions. Hey man, just wondering when you used the c400, did you use a cloudlifter with it or did it work fine without? enough volume? thanks! The C400 seemed to offer a good amount of clean gain without the CloudLifter. That being said, something like a CoiudLifter would make your rig even more versatile as you’d be able to record even quieter sources (soft voices or acoustic instruments). Excellent review so thanks! I’m just getting started with my pithy home studio and thus far I’ve tested for Mic’s and three pre-amps. Currently, I’m using the RE20 but I’m very tempted to order the seven SM7B. I have the Aphex J-Pre and I’m about ready to order the Cloudlifter-Z. I spoke with Roger Cloud and he highly recommended the ‘Z’ over the standard C1 for its adjustability. Combined with my J-Pre (65db), I’m sure will do well for what I have, and if I decide to change to the SM7B I’ll be in good shape. Frankly, the samples in this review has really changed my opinion, as all other sound clips I’ve heard with SM7B do not sound anywhere near as good as the samples included here. Fortunately, B&H Photo has an excellent return policy so I just may do it. As a newbie I couldn’t really tell much difference between the various preamps although 4,5,7 & 8 appeared to sound less bright than the others. Personally, I opted for the Aphex J-Pre which I’m sure is way overkill but the horse is already out of the gate. Would you reckon this is compatible for the SM7B? I can’t find anyone who’s used the pair together so I’m really unsure of whether I should go ahead with the purchase..
@Ethan, any of these preamps is _compatible_. Some will give you less gain than you need, or more noise than you want. The specs won’t help you. If the UR22 has other features you desire, then buy it; if you have a gain or noise problem with the SM7B, get a Cloudlifter, and you’re done — every problem solved. Hello Jason, I have a M-Audio FireWire Solo and my TUBEPre connected to it, recently I get a SM7B and I have the noise problem and the poor gain in. It really will help the Cloudlifter on this settup? I will buy another sound card if I really need to get a new one, but I can not spend much on it, so if I can get a good result with GL, I will be more than happy. thanks for the review Jason, it is being so helpful and the best review I have seen until now. @John, the cloudlifter will give you ~20dB more gain into the preamp. If the noise you’re hearing is coming from the TUBEpre, then you’ll hear less of that in the DAW because you’ll be able to turn down the TUBEpre gain by about one-third. But if the noise is acoustic or environmental, or due to a problem in the mic, then you’ll hear MORE of the noise, because the cloudlifter will amplify it. Do you get the noise from the Firewire Solo itself, with the mic plugged in directly? I just want to be clear that the cloudlifter is not a magical noise filter. It simply reduces the need for preamp gain. If your preamp gain sounds bad, then the cloudlifter will definitely help. If your noise is due to something else, then you probably have to fix the something else first. 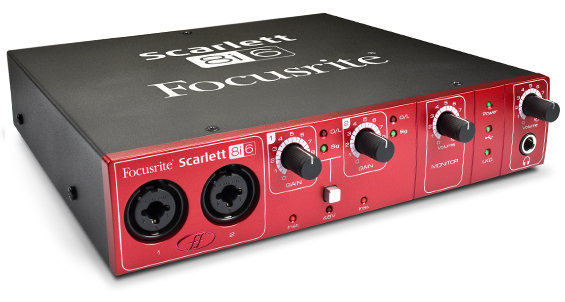 It may seem as an odd question but I have a number of friends that favour Focusrite products, such as the Scarlett line, mainly for their pre-amps. And they do sound fairly neutral and seem to offer decent dynamics. So I’m kind of torn between the Focusrite and the M-Audio/ Avid FT. I believe there are no officially published spec’s for the FT C400/ 600 series, and I would have liked to see those to pull the trigger with some confidence. Read somewhere the C600 was “less immaculate” than the Focusrite, which seems to imply overall quality rather than its response not being flat and correct. You have a perfect production voice. I didn’t notice any difference between 2i2 and fast track with or without Cloudlifter CL-1. Will be nice if you share some tips or some practices to develop this kind of broadcast voice. I can’t even get 10% of your voice from samples. 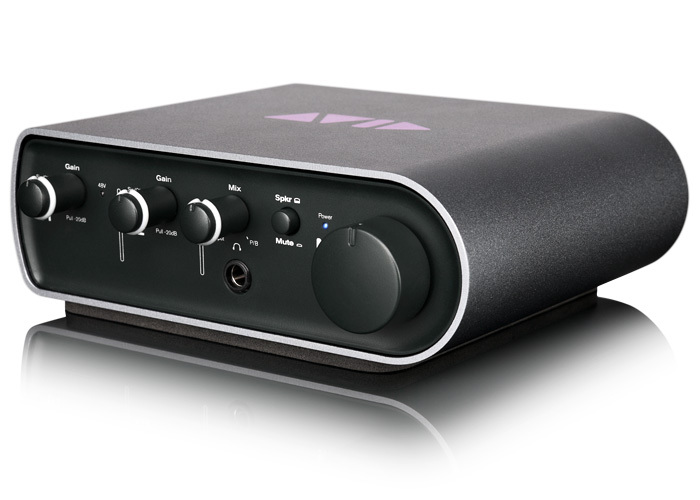 Advice please: I read your older USB audio interface review, and this newer one, and am not sure how to proceed. I have a Tascam LD-74 condenser mic, which came with my Tascam US-122. The US-122 is not supported on Windows 7, so… I guess I have an expensive paperweight. I want to be able to use the LD-74 microphone to record singing/guitar, so I went searching for a solution for XLR to USB so I can plug my mic into my desktop PC. Also, I need something that works with Windows 7. 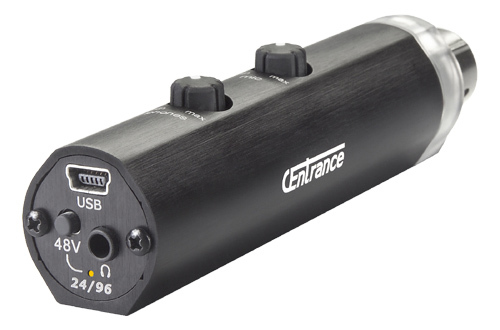 Since your new USB Interface shootout is specialized to combining these devices with the SM7B… I wasn’t sure how to proceed. For vocal recordings, (and guitar) ? I know very little about recording or audio hardware/software. Also a solid solution at a lower price would be my aim. Products with lots of reviews of breaking easily, or stopping working after a short time, or requiring a lot of trouble shooting, I am leery of. OK, so I’ve just been given some Amazon gift certificates for the holidays and am wondering if I should pick up an sm7b. I have a Focusrite 2i2 and do not have a cloudlifter. I currently own a M. Jolly modded MXL 910, but it seems to have too much presence when I’m singing loudly, and a sm48 that doesn’t quite have enough clarity for what I’m after. So here’s my question: should I pick up an sm7b without a cloudlifter or go with an sm58? Some have told me that an sm7b will work great with a 2i2 if I’m singing loud. Others have said that the difference between the two mics is negligible with my rather low budget set up. My Joly mic works great for my more breathy low volume ballads. As always, thanks for any help with this. @Artie, I’d get the SM7B. If you later determine that the 2i2 does not have enough gain to get a good signal out of the SM7B, you can add a cloudlifter later. But the SM58 with *any* preamp, cloudlifter or not, will not sound as good as the SM7B. Thank you, Matt. I just needed a nudge! Hi Jason, I been testing the SM7B through the TUBEPre (12AX7 TUBE electro-harmonix INSIDE) and straight to the Maudio Solo, and the hiss is the same, cos is not a noise is just a hiss when you rise up the gain, also I have the same hiss with mu Shure Beta87A with the same gain, of course the SureBeta sound louder cos is condenser, but to find if the problem it is with the mic is a good test. I think with the cloudlifter I will get the extra clean gain that I need…Hopefully. I´m think about a new sound interface, I need low latency and clean INPUT for my Shure SM7B around 250$ max 300$ any advice, the M-Audio Fast Track looks quiet out of date to find one, any other option to consider. Thanks Jason for your time and share. Was the Cloudlifter shown used while recording the the samples? Or were they straight from the audio interfaces? Super good help! Thanks so much for taking the time!!! The Tascam US 122 is running beautiful in my Windows 8. I also got the M-AUDIO fast track C400. I don’t knks whish one is better. So I went out and purchase a M-Audio C600 to use with my SM7B’s based on this review for my professional home studio. When compared to my previous preamp from an old Mackie mixer, the C600 sounds distorted and muffled and I’ve wasted 2 days and nights and dozens of vocal passes in the process. Additionally, the C600 has various noise issues- just playing with the power cord and the USB plug connections at the back of the unit induce noises that are unacceptable. Also, plugging both the DC power cable and the USB connection to a PC simultaneously produces a noticeable elevated noise level that too is unacceptable. It MIGHT sound fine for voiceover but for very poor for lead vocals. Mainly because of this article, I got the SM7b and the Focusrite 2i2; I’ve had some small financial success with it, and that’s grand. But I would suggest that, if people are going to get the SM7b and any of these interfaces, they opt to go past the CloudLifter and get something like a dbx 286s. In my own tests, the 286s is enough to drive the SM7b without using any of the gain from the 2i2; moreover, with the effects the 286s make noise basically a non-issue (if you use the gate properly). Reason I mention is because it costs $200. For very slightly more money, you get a hell of a lot more value. I also have a CloudLifter, and it does give a lot more overhead–but when you’re recording the human voice at speaking levels, you don’t really need it (provided you’re using the 286s). I really don’t think the Cloudlifter is needed in some bits, the hissing that can be heard can easily be removed via noise gate in post production, and when the talent is speaking you can’t hear it at all, the gain problem is a non issue unless it’s being used to pick up dead noise, which would be a complete waste of a mic that costs over $400 in Canada. As well, since the talent is not on top of the mic, it makes the mic sound thin and piercing like a Blue condenser mic, but that is just my personal opinion. Hey thanks for the Review. I own a smb7 and a 2i2 but i dont like the result. 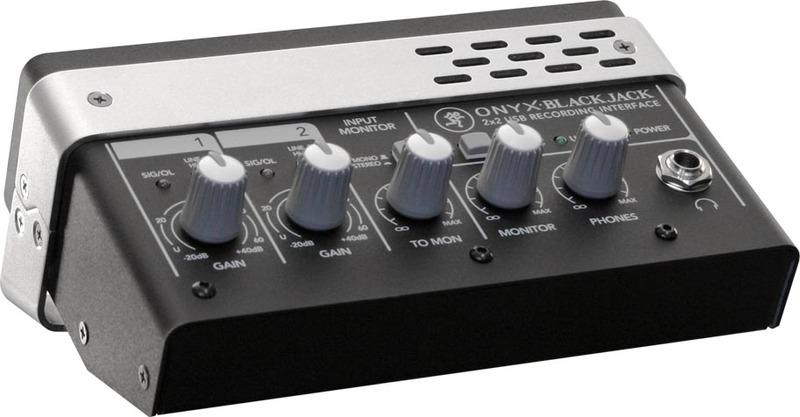 Now i Ordered a behringer x1204 to mix my home Audio Setup for broadcasting and Recording. I Need to say i am pretty new to the Audio world. With this Mixer do i still Need a Interface or preamp to get good / better results. Or should i go with mic -> preamp / Interface -> Mixer? @Gary, I’m not sure the X1204 would constitute an upgrade from the 2i2. I’d personally have recommended spending that $150 on a cloudlifter instead. The SM7B is a great mic, but it needs a really top-notch signal chain. The Cloudlifter performs the miracle of allowing any downstream preamp/interface to sound pretty darn good. Even the 2i2, I’d bet. Or maybe even the Behringer. But I’d be surprised if the Behringer had enough gain, and enough *clean* gain, to make the SM7B sound fantastic. My background terrestrial radio and doing voice work. 40+ years. My question is, Can you run the SM7B with a Mackey board using the phantom power that comes with the Mackey and ad another power supply to boost the sound even more. I have two sm7’s one is the original one which is great the new sm7b seems to be a little light weight and needs help in amplifying the output. If so, what mic pre-amp do you recommend ? @Denny, dynamic mics generally don’t need and can’t use phantom power. Boosting the mic’s output level is possible but not simply by engaging phantom power. 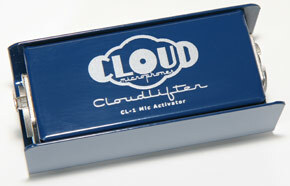 What you’ll want to do is buy a Cloudlifter (made by Cloud Microphones). Plug the SM7B into that. Plug the other end of the Cloudlifter into your preamp or interface. The SM7B can’t use phantom power, but the Cloudlifter requires it. You’ll have plenty of clean gain that way. Did you ever get to compare the sounds of the SM7 with more expensive preamps? I wonder if spending 500, or a 1000 on a “better” preamp would really make a difference. Thanks for the comment! Glad folks are still reading this 4 1/2 years later! Very nice post, that’s why its timeless. Is there any chance that you could post a 5 second sample of ambient noise with a high quality preamp at similar gain? Then we could compare the noise floor value. It would have been great to not add fade in and fade out to the samples too, to compare noise levels. One thing you didn’t go into is the fact that the SM7, like the 57 and 58, was designed for a 600 Ohm input impedance (the old Bell standard very much in use during the 1960s). These mics are much flatter and far more detailed when the match is closer to the original spec. Here’s an article on the SM57 that goes into detail. Although I have made a couple of adapters as suggested, I much prefer the Cloudlifter CL-Z. Besides the 25dB boost, it also has a 12dB switch and variable input impedance. I bought it to boost my old Shure 315 ribbon but immediately heard the improvements to my SM7B as well as my SM57 and SM58. I boost the 57/58 only 12dB. Searching ‘variable impedance preamp’ now finds many choices. The ART Tube MP Project Series USB is notable for two reasons. The first is its street price of $99. The second is the addition of a USB output for podcasting. It only has two input impedance settings but one is 600 Ohm. Thank you a lot for this ! What I can say about this is that I’m very surprised, you may have very trained ear and have higher expectations than me because I found the noise of the Scarlett pretty low as it is ! Even lower than the Apogee, which I find sort of weird. To be honest I don’t think the average listener will make any difference with/without the cloudlifter on some interfaces like scarlett/M-audio while it’s pretty obvious on the presonus and the micPort Pro. Otherwise, the M-audio is really remarkable, I can’t even understand how such a low device can handle this output level. Shame that it’s not more known. Thanks for the writeup/review. Exactly what I was looking for. This article was published in 2002. Last year (or 2015?) 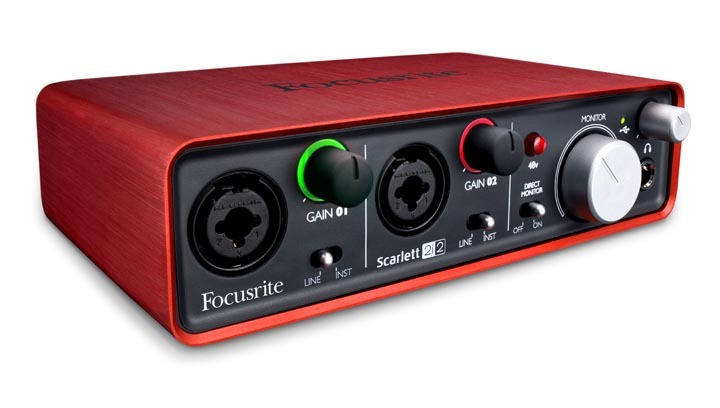 the Scarlett audio interface line was completely redesigned; among other things, they claim to have improved the mic pre-amps. I have used both “generations” for the Scarlett 2i2, and the newer one does seem better. I don’t have any hard data, though. It might be worthwhile to test the new, revised 2i2, and see if it is adequate now. 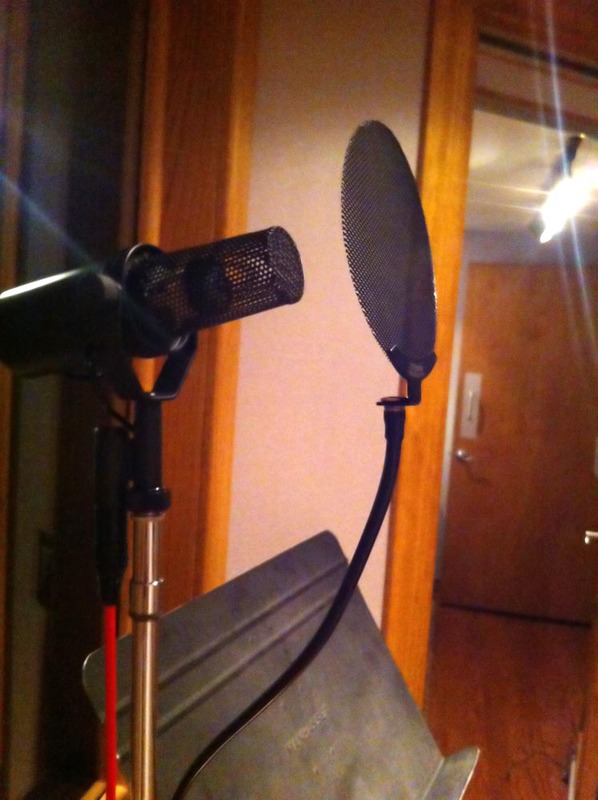 I’ve used the CEntrance MicPort Pro and CloudLifter with all of my low output mics for a long, long time. While that combo doesn’t compare with my studio, I love the portability. While there are differences in the rigs in this test, all of them are “good enough for radio.” However, I wouldn’t try to build a studio rep on any of them. Thanks for this! I recently got my SM7B in the mail and was initially trying to use a Shure X2U to connect it to my laptop — huge mistake! I couldn’t get rid of that awful hiss even when turning the gain way down on it. So I returned it an got an M-Track 2×2 by M-Audio but my computer did not recognize it when I plugged it in, and even after I installed the most up to date drivers. Reading through their forum, seems hundreds of people have been experiencing this problem with the 2×2 for over a year, but M-Audio has yet to properly address the issue. The fact that the C400 has been reacquired by Avid makes me favor it much more, given the bad experience I had recently with M-Audio. I have also already bought my Cloudlifter CL-1. I’m ordering a used C400 this Thursday/Friday for about $60. Based on the recordings you’ve provided, that one really does seem special. I’ll report back here once I’ve tried this setup for myself. I’m more a musician than a tech guy, so I’m hoping I can actually get down to recording vocals now and not deal with all these frustrating gear issues. Here’s my update. My Fast Track C400 came in the mail today, so I installed the drivers from the AVID website (I had no software issues whatsoever like I did with the M-Track 2×2) and then plugged in my SM7B directly into the interface. With the gain all the way up on the C400, the sound is INCREDIBLY clear. I was using it for quiet VO testing and noticed only a few minor crackles in the audio here and there (I believe that’s called “clipping?”). I have to go pick up an extra XLR cable today for my Cloudlifter CL-1, but I’m already getting amazing results from just the C400 and SM7B. I can only imagine what it’ll sound like with the addition of the CL-1. Thanks a lot for this article, I can happily go record my vocals for my band’s demo now!